Availability: 36 In Stock. Backorder available. 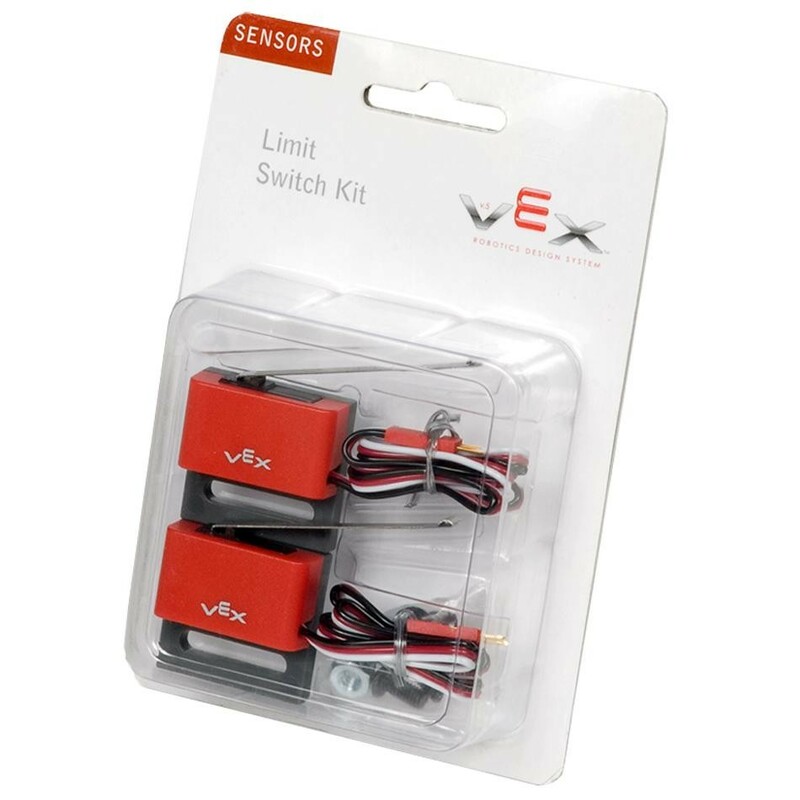 Limit Switch Sensor Signal: The limit switch sensor is a physical switch. It can tell the robot whether the sensor’s metal arm is being pushed down or not. Switch Type: SPDT microswitch, configured for SPST Normally Open behavior. 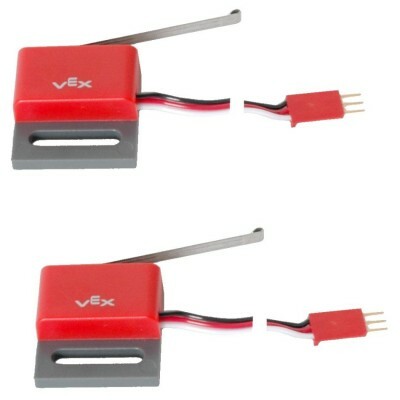 Behavior: When the limit switch is not being pushed in, the sensor maintains a digital HIGH signal on its sensor port. This High signal is coming from the Microcontroller. When an external force (like a collision or being pressed up against a wall) pushes the switch in, it changes its signal to a digital LOW until the limit switch is released. An unpressed switch is indistinguishable from an open port. Provide feedback to Microcontroller as events "happen". Bendable sheet metal switch "arm" is very versatile. Useful as a trigger in a variety of applications. 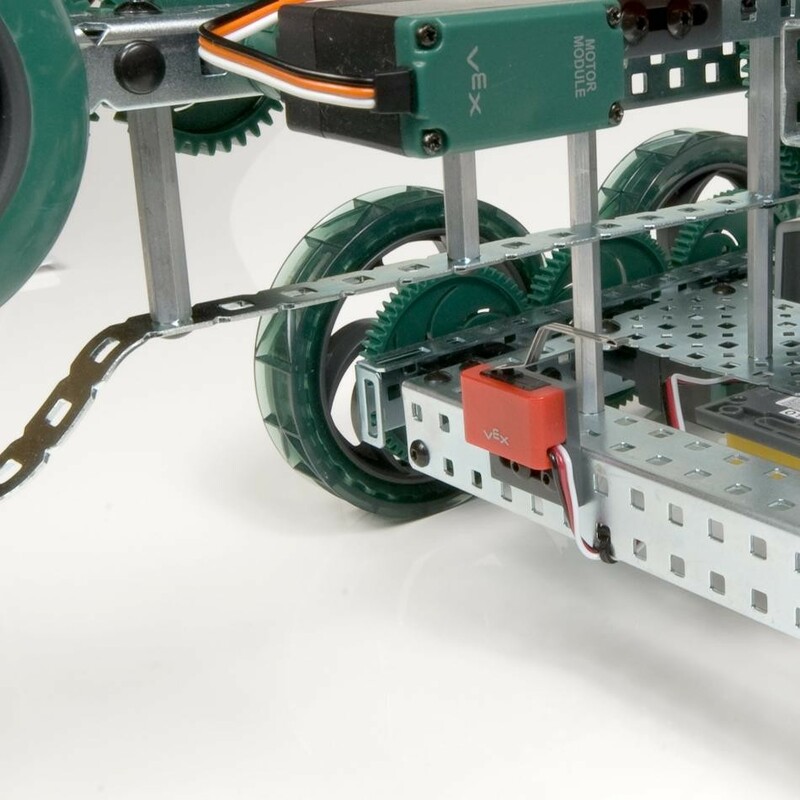 Functionality is pre-programmed in the VEX Microcontroller. Compatibility: All VEX Microcontrollers, 3-Wire Extension Cables. Trigger Force: 0.38oz typical (varies with location of applied torque on actuator). Switch Type: SPST (single pole - single throw). Switch Connection: Wired to normally open (OFF). Limit Switch Sensor Weight: 0.03 lbs (13.6 grams).